EA Games has released a gameplay/live action trailer for the latest version of Medal of Honor, directed by Joe Hahn and featuring Linkin Park’s first single “Catalyst” from their album A Thousand Suns. The four minute video shows game footage set in war torn Afghanistan, told through the lens of a small band of fictional characters. 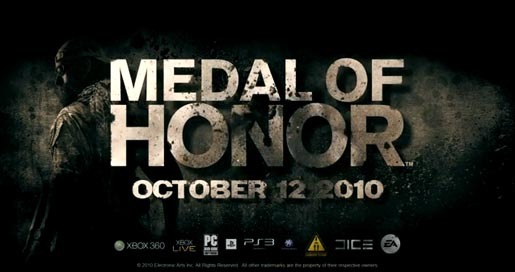 Medal of Honor introduces players to the Tier 1 Operator, an elite warrior and relatively unknown instrument of the U.S. Military that operates under the National Command Authority to take on missions no one else can handle.